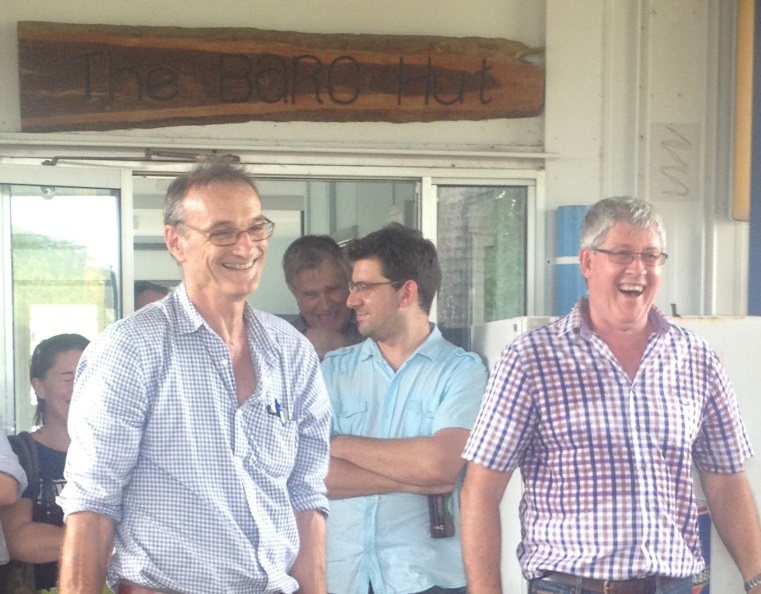 On January 29, a farewell gathering for Bruce Sawyer was held at the Bark Hut Social Club, Berrimah Farm. After 42 years with the department, Bruce has left on extended leave as a precursor to his retirement. “Looking back, it is pleasing to see how far our pastoral, agricultural and horticultural industries have developed and grown, and become so much more sophisticated over the years,” he said. Bruce and Dianne plan to stay in Darwin for a few more years at least, as long as the build-ups and Wet seasons are kinder. They have grandkids to spoil and plenty of travel destinations to keep them occupied. Bruce is confident the Department of Primary Industry and Fisheries will continue to help NT primary industries grow and improve.